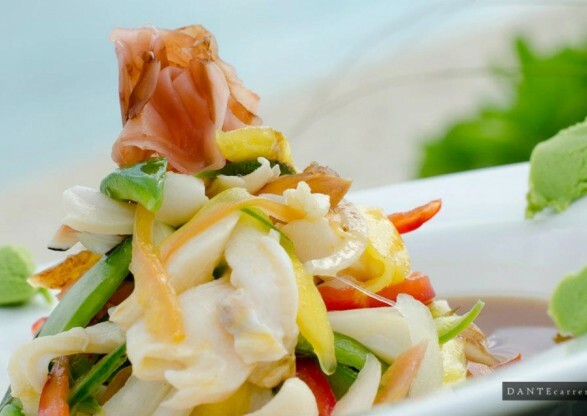 Fresh conch salad with a cold Kalik, grilled mahi-mahi, guava duff and Bahamian fish stew. 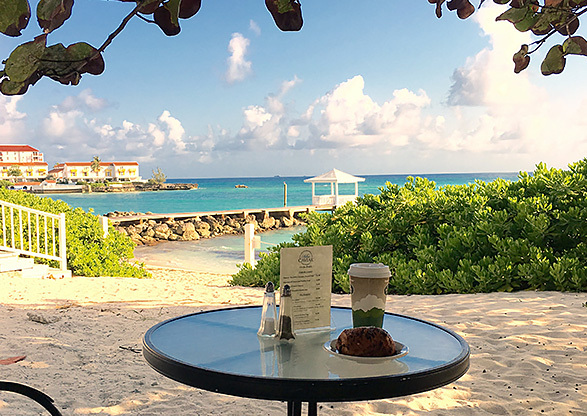 At Sandyport Marina Village’s five restaurants and bars, guests enjoy fresh island ingredients, kicked up with the flavors from France to the Mediterranean. 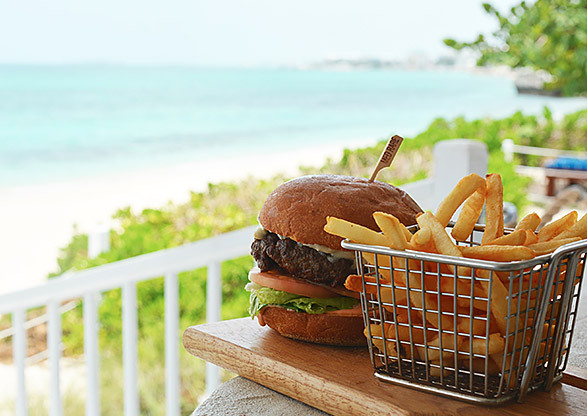 And when the kids start craving something familiar, rest easy: your suite is equipped with a full kitchen and your kids’ favorite fast food joints are within walking distance of the resort. 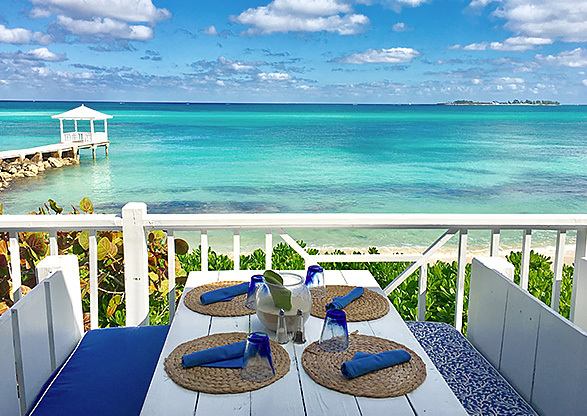 Celebrated chef Jacques Carlino is the star behind Sandyport’s chic and casual Blue Sail Restaurant and Bar, serving Mediterranean-French fusion cuisine overlooking The Resort’s white sand beach and crystal-clear turquoise waters. 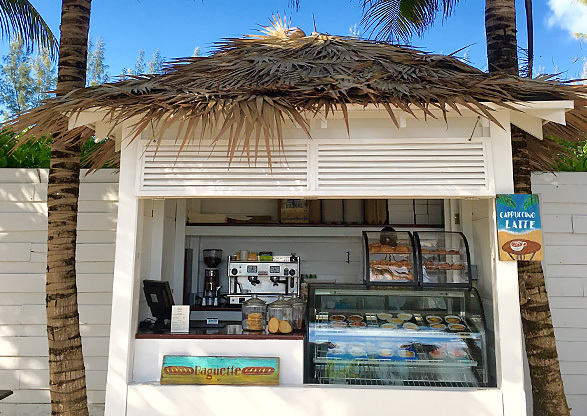 Menu favorites include Yellow Fin Tuna Ceviche, Bahamian Conch Chowder, and savory pizzas from the chef’s wood-burning oven. 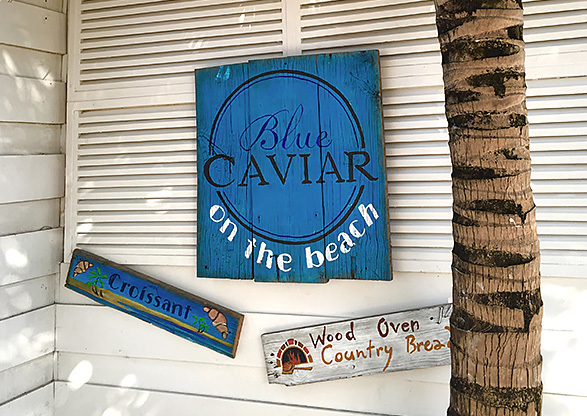 Blending French bistro cuisine on our own ocean beach, Blue Caviar is our guests' go-to for hot and cold breakfast favorites and classic lunchtime fare reminiscent of a Paris sidewalk cafe. Celebrated chef, Jacques Carlino is the star power of the cuisine where Sandyport guests enjoy easy signing privileges. 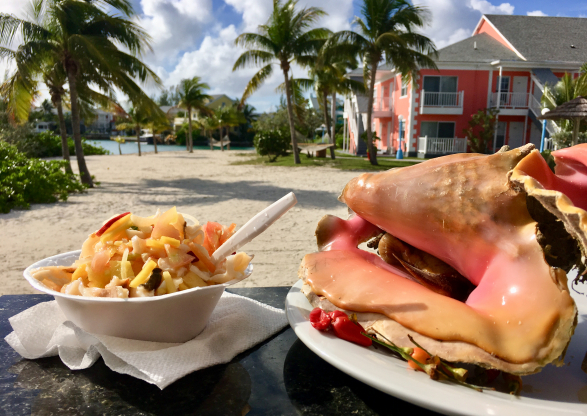 For a Tru Tru Island Life Experience stroll over to Da Conch Shack, an open-air in the sand, lagoon beach, and poolside experience, where conch is harvested right in front of you and made into the local favorite, Conch Salad. 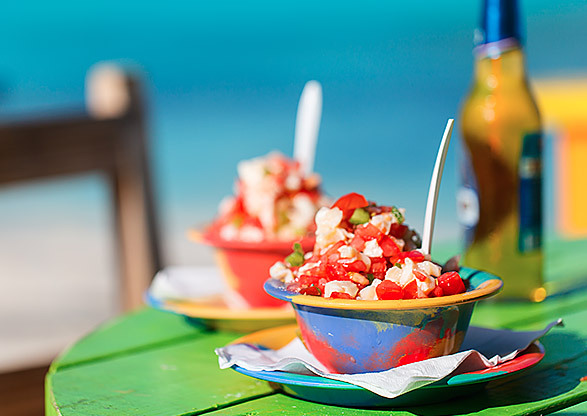 Plan to relax with a local beer or tropical drink in hand and learn about the Bahamas most famous seafood ingredient while watching your fresh conch salad made to order, as spicy as you want, with fresh ingredients from start to finish. 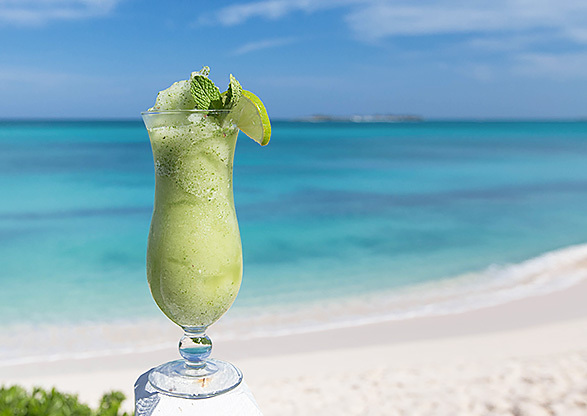 This is “It’s Better in The Bahamas” in its pure form. 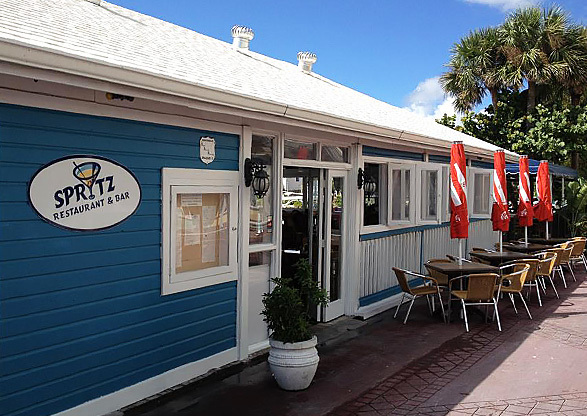 Located on the water in the Sandyport Marina Village, the family-friendly Twisted Lime Sports Bar and Grill pairs big game action on 18 jumbo flat-screen TVs with great service and high quality food and drinks. This full-service restaurant boasts menu items such as fire-grilled certified Angus steaks, house-made pizzas, and 21 different ice-cold beers. 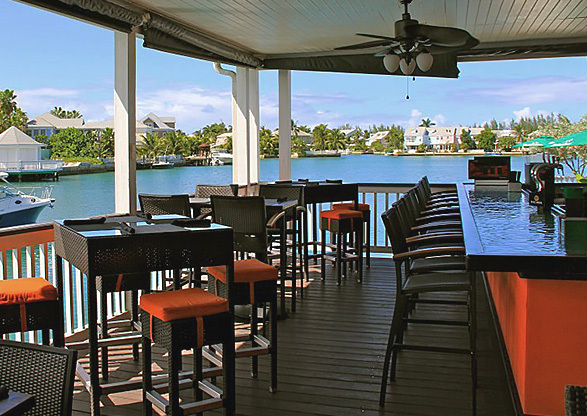 Dine out over the water at this casual spot within the Sandyport Marina Village. A local favorite for lighter Italian fare, Spritz Restaurant & Bar welcomes walk-ins but we recommend booking ahead! 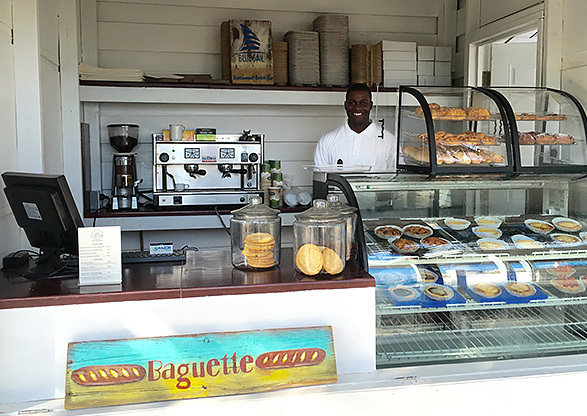 The News Café is a popular Sandyport Marina Village spot for breakfast and lunch. 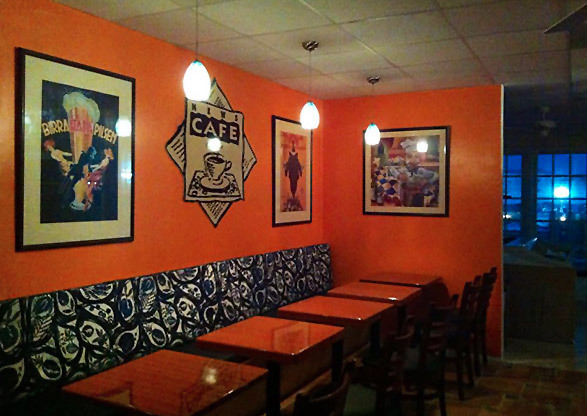 Highlights include fresh-made sandwiches, a full delicatessen-style menu and ice cream treats. Call us at (242) 601-2038. 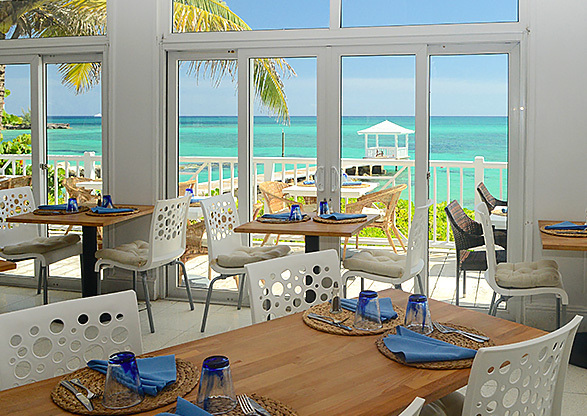 Serving some of the best Bahamian cuisine, the Poop Deck at Sandyport is located on the west Ocean Beach and specializes in fresh and local seafood and island flavors. Our concierge team can assist you with making reservations at restaurants throughout the island and in arranging Food and Distillery tours. 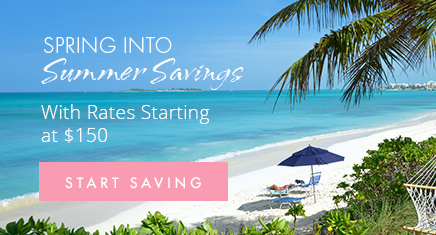 Contact us at guestservices@sandyportresort.com. We also have some great information on our blog Taste of the Islands and on our Island Map.